(Dec 4): The S&P 500 suffered its biggest drop since late September on Thursday as the European Central Bank disappointed market hopes for greater stimulus. The ECB cut its deposit rate deeper into negative territory and extended its asset buys by six months, as expected. But some market participants had hoped for greater stimulus. All 10 S&P 500 sectors fell in a second day of sharp losses for U.S. stocks. Healthcare ended down 2.2 percent, leading the day's decline in the S&P 500, followed by energy , down 2 percent. "The biggest influence was the (ECB President Mario) Draghi talk this morning; it didn't satisfy the U.S. markets," said Peter Tuz, president of Chase Investment Counsel in Charlottesville, Virginia. 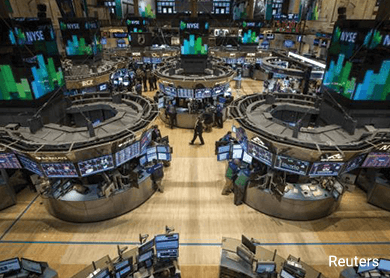 The Dow Jones industrial average fell 252.01 points, or 1.42 percent, to 17,477.67, the S&P 500 lost 29.89 points, or 1.44 percent, to 2,049.62 and the Nasdaq Composite dropped 85.70 points, or 1.67 percent, to 5,037.53. Some of the selling was related to leveraged funds that were likely forced to close positions as volatility spiked. According to Bank of America research, these funds, which were heavily involved in the dramatic selloff in late August, have since returned to the level of leverage they had prior to that downturn. Data released on Thursday showed initial U.S. jobless claims for last week rose but remained at levels consistent with a strengthening labor market. Friday's employment report is expected to show the U.S. economy added 200,000 jobs in November. Zafgen shares were down 5.1 percent at $5.96 after the company said the U.S. Food and Drug Administration was putting on complete hold a late-stage study testing its experimental obesity drug.